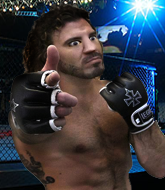 Adam has Elite boxing, Sensational Muay Thai, Elite wrestling and holds a brown belt in Brazilian Jiu Jitsu. 2019-04-06- Adam Deadmarsh celebrated his birthday - 34 today! 2019-01-18- Bought Prkl! Cage for $300 at Perkele! 2019-01-18- Bought Prkl! 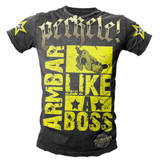 Armbar for $300 at Perkele! 2019-01-11- Adam Deadmarsh celebrated his birthday - 33 today! 2018-11-25- received FinnFighter Energy Q160 from manager. 2018-10-29- received FinnFighter Energy Q160 from manager. 2018-10-18- Adam Deadmarsh celebrated his birthday - 32 today!